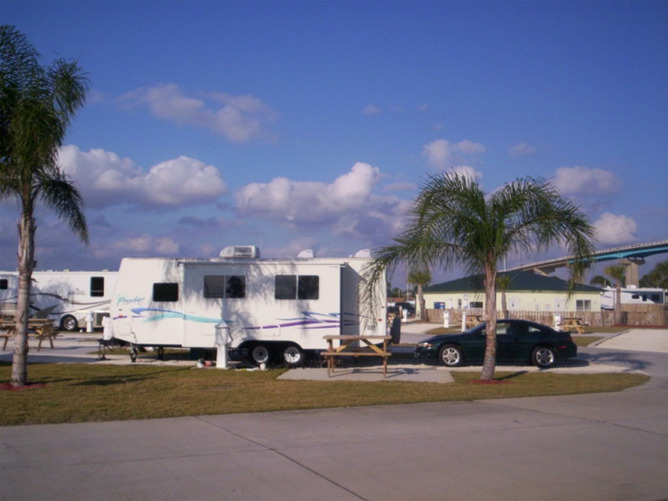 Perdido Key RV & Marina Resort is your home away from home, with 56 RV sites featuring full hook-ups to 30/50 Amp electricity, water, sewer, Cable TV and Wi-Fi. 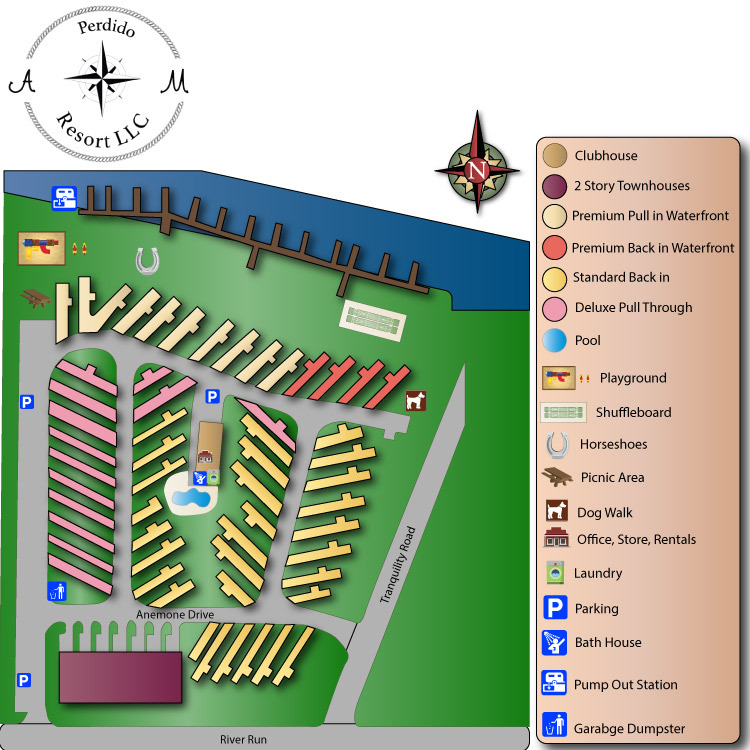 We also offer 24 deep water marina slips with full hook-ups, Cable TV, Wi-Fi and a boat pump out station. If you have friends or family that would love to join you on vacation, they can stay in our newly decorated town home. 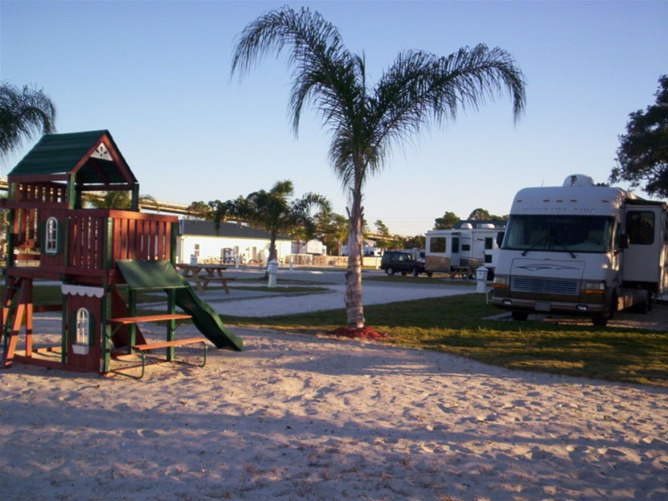 We welcome pets and have plenty of space for daily walks by the beautiful waterfront. Children love our playground area and your family can enjoy a picnic along our white sandy beach. When you stay at our resort, you will feel like part of the family. Our waterfront location and intimate setting make it simple to connect with other travelers or enjoy your privacy. There's always something happening; from a potluck dinner to a pancake breakfast. We invite you to relax, unwind and take in the scenery that makes the Gulf Coast famous. Head off to take in the sites. We're perfectly situated between Gulf Shores, Alabama and Pensacola, Florida, which gives you double the opportunity for exploring these unique coastal communities; home to historical forts, arts and culture, local cuisine, outdoor adventure, shopping and more. Take shelter in our cove and explore the community we're happy to call home.